The thing about being a busy mom is that sometimes I end up at the bottom of my list. I’ll have everything packed and ready for the kids whether we’re headed to baseball, the swimming pool, or the dance studio. The thing I’ll usually forget — a drink and snack for myself! So, I’m always on the hunt for snacks that are easy to grab and take on the go! 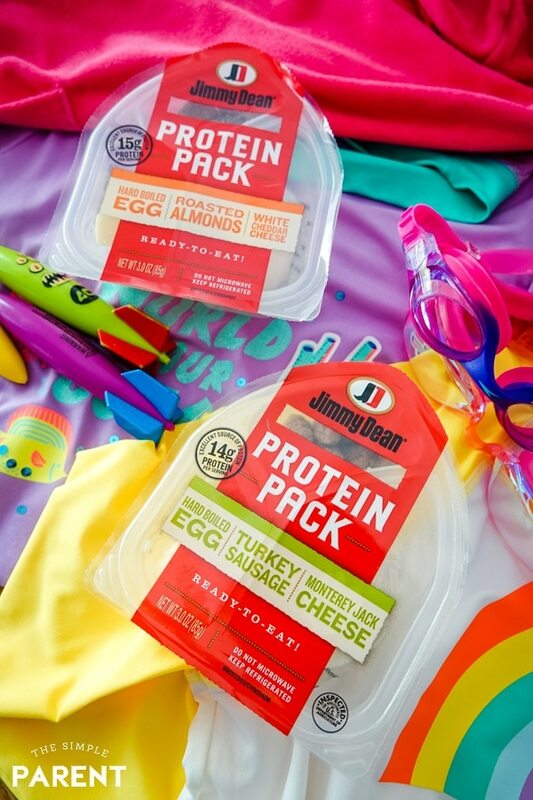 Jimmy Dean® Protein Packs are my newest discovery and they’ve been perfect for some of my recent long days of being a work at home mom! As our busy spring season has swung into full gear, I’ve been trying to make an effort to make myself a priority. When I take care of myself, I’m a better version of myself, whether I’m playing in the pool with the kids or cheering from the stands at a baseball game. I’ve made a few things a priority on our busy nights. When I’m filling water bottles, I fill one for myself. Instead of telling myself I’ll get my stuff ready after I have the kids’ stuff together, I do it all at the same time. It seems like such a simple change, but it’s really made a huge difference. I’m no longer at the bottom of the list! I also pack a snack for myself while I’m packing up snacks for the kids. By doing it at the same time, I make sure that I have something good to eat. I can put together something that keeps me going all evening long! If you’ve ever had to roll out to the baseball field for a late game on a weeknight, you know it’s all about having energy. It also helps me avoid caving in to my cravings and eating chips and candy from the concession stands and vending machines. It’s really a simple change that is having a positive impact on my evenings with my family. 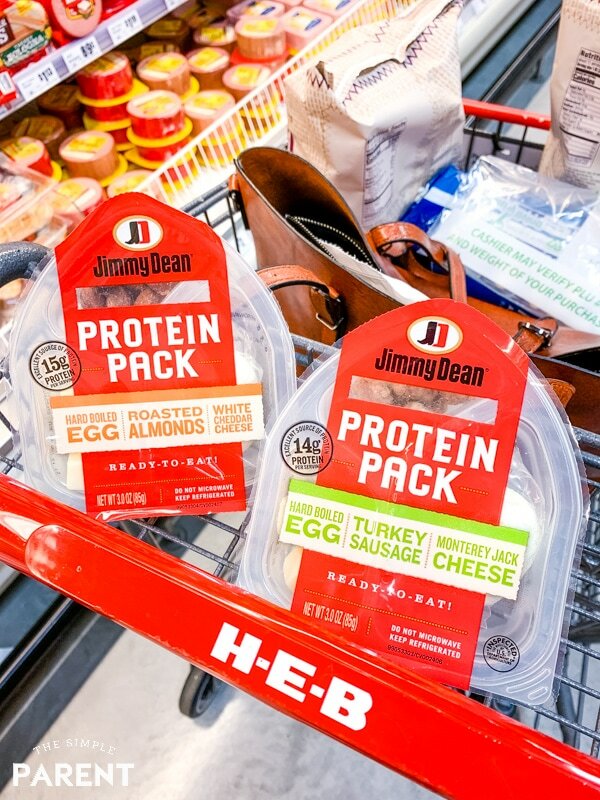 Jimmy Dean Protein Packs have become one of my go-to snacks for a few reasons, but there is one major reason. They’re so portable! 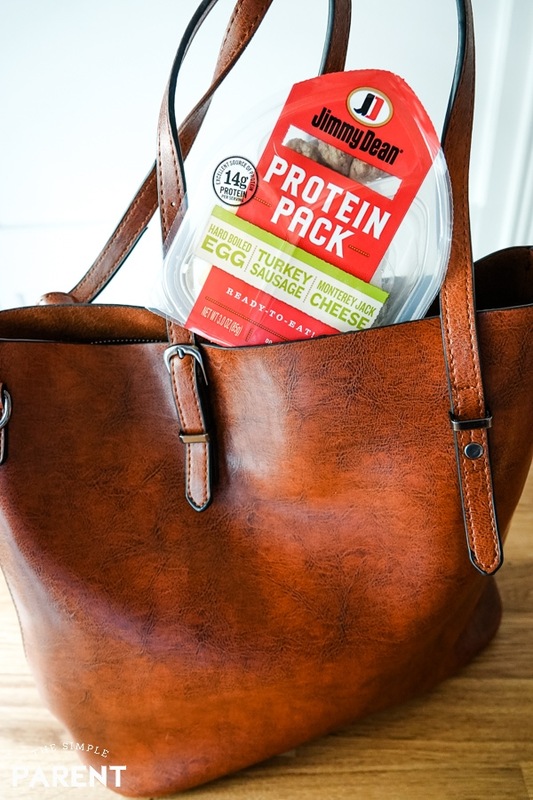 It’s so easy for me to grab one and put it in my purse or bag when I’m packing snacks. Then when I sit down in the bleachers or in the waiting area at swim lessons, I can break out a snack that leaves me satisfied and helps fuel me through the rest of the evening. I also love the convenience factor when I’m shopping. I found them in the refrigerated section of my local HEB store near the lunch meats! That means it’s easy to stock up when I’m doing my grocery shopping for the family! 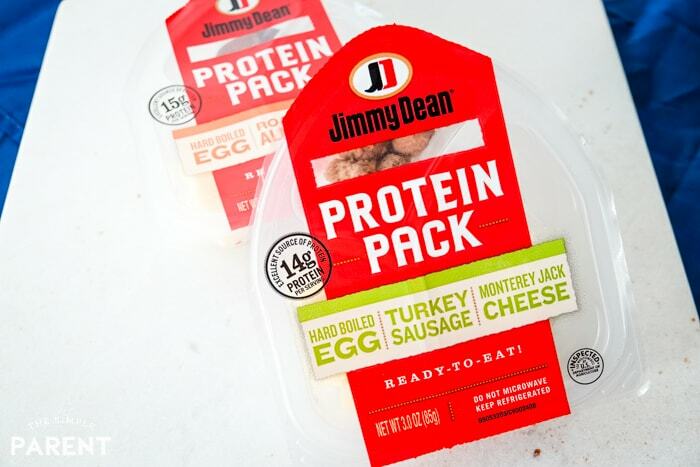 Each of the Jimmy Dean Protein Packs contains 14 grams of protein and includes an individually wrapped and peeled hardboiled egg and high-quality natural cheeses! Each of them has a hardboiled egg and features a different variety of cheese, so I have snack options! My favorite is the Turkey Sausage with Monterey Jack Cheese. 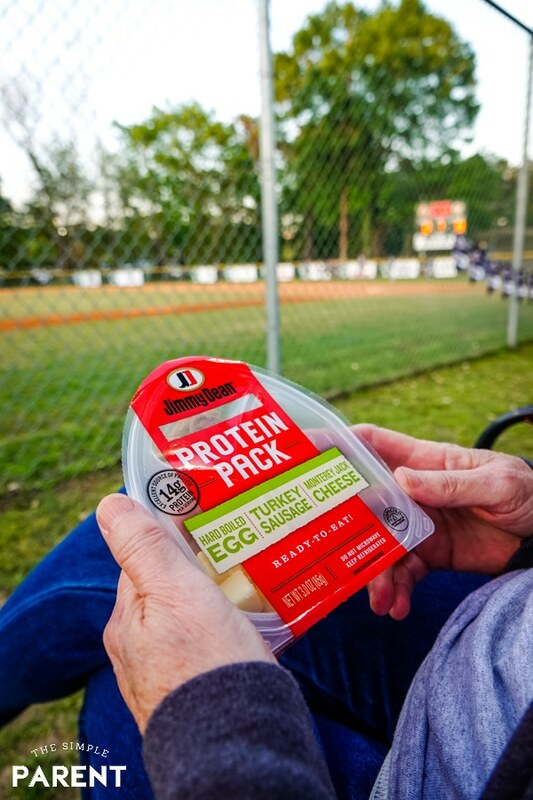 I just face one challenge when I’m sitting at the ballpark enjoying it — my daughter loves turkey sausage, so she’s always trying to get me to share! 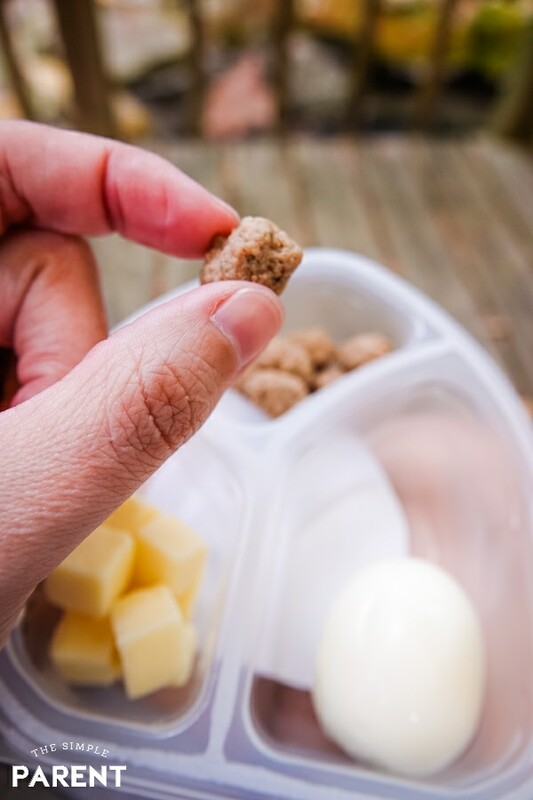 But with the ready to eat convenience, snack packed full of protein, and foods that I enjoy, the Jimmy Dean Protein Packs have quickly become one of my favorite busy weeknight and weekend snacks for myself! Click here to find the HEB store nearest you!